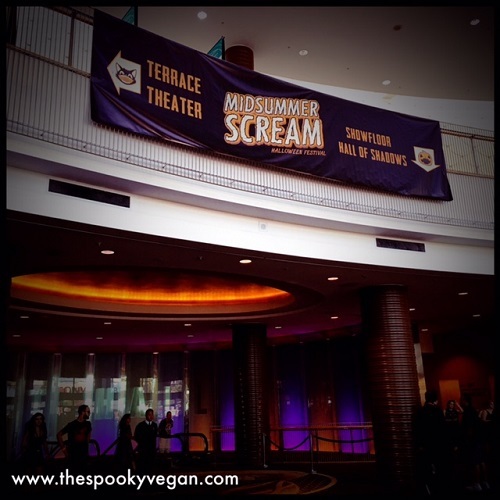 Midsummer Scream is just a week away (eeeeeeek!!) and I am so excited! In case you didn't know, Midsummer Scream is a Halloween festival and convention held at the Long Beach Convention Center. 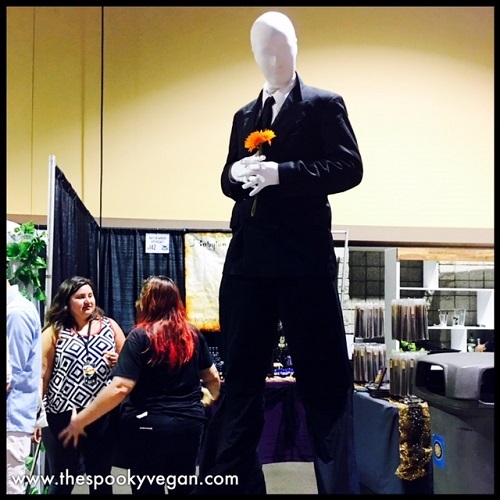 It celebrates all things spooky, kicks off the Halloween season (yes, it's here! ), and has been a blast every year I've attended (see my coverage of last year's event HERE and HERE and 2016's inaugural event HERE). It has been so neat to see it grow over these last few years, so I am really stoked to see what they have in store for us this year. Since so many people are attending this year (I get to see so many spooky friends, yay! ), I have been asked for tips and tricks on attending the convention, what people should expect, what they should bring, and so on. I figured I would put together a little guide for those who are attending for the first time as well as for those convention veterans needing a bit more help navigating the event. With so many amazing panels, classes, vendors, entertainment, and more, it is easy to get overwhelmed, but I'm here to make sure that doesn't happen! With just a little bit of pre-planning, you can maximize your time at Midsummer Scream and make sure you see everything you want to (and more!). I'm a person who love to pre-plan everything, but I know there are others out there that don't, so I wanted to make sure to cover even the most basic of tips for the convention. 1.) Plan your day(s) - Choose which panels, classes, screenings, celebrities, vendors, etc. you want to see before you get to the event and have an idea for your schedule for the day. Midsummer Scream has their full schedule of events for both Saturday and Sunday up now, so you can choose which ones you want to attend. You may not be able to get to everything, so just pick your top three or four major things you want to do per day. If you end up having extra time in your day you can always hit the other things you wanted to do. The key is prioritizing what is most important to you, whether it is hitting the haunts, shopping the show room floor, attending panels/classes/presentations, meeting celebrities, or a mix of all of the above! 2.) Yes, there will be lines - With over 20,000 people expected to attend Midsummer Scream, realize that there will be lines. In past years I've seen lines wrapping around the outside of the convention center to get in, so plan on getting there early (and wear sunblock or bring a parasol!). There will also be lines for any panels, autograph signings, haunts, and so on. For panels/presentations/etc., I recommend getting there about 20-30 minutes before the scheduled start time - you can also wait about 10 minutes after the start time if you want to avoid waiting in line (though if the room reaches capacity, you may not be let in). When you do end up waiting in line, try and make some friends with those around you, or you can people-watch (there will be so many cool costumes to check out), or, at the very least, it will give you a chance to catch up on your Instagramming. 3.) Parking - Since there will be so many people there, parking can also be a challenge. There are a lot of parking structures around the convention center, but keep in mind it is summer and downtown Long Beach gets crowded with a lot of traffic. If possible, I suggest carpooling, taking public transit or using Lyft/Uber to get to the convention. If you do decide to drive, use Google maps to scope out all the parking structures in the area and pick which one you want to try to park in. Bring about $20 in cash for parking. I suggest getting there early, parking in a structure, and then grabbing breakfast somewhere close before heading to the convention. 4.) 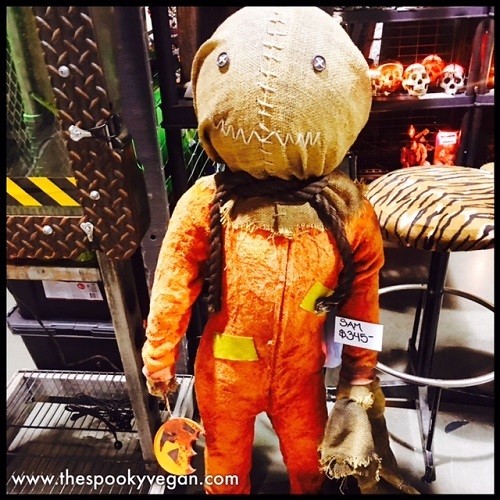 Make a vendor wish list - Check out the vendors on Midsummer Scream's website ahead of time and stalk the vendors' Instagram accounts to see what goodies they will be bringing. This will give you an idea of how much money to set aside for buying rad Halloween stuff! Pro-tip: bring plenty of cash, though most vendors do take credit cards. I also suggest waiting until the end of your day to purchase items (unless there are limited edition or in-demand items you want to get your claws on ASAP), since you will have to carry them with you all day. Also, bring a reusable tote bag with you to stash all your goodies! 5.) 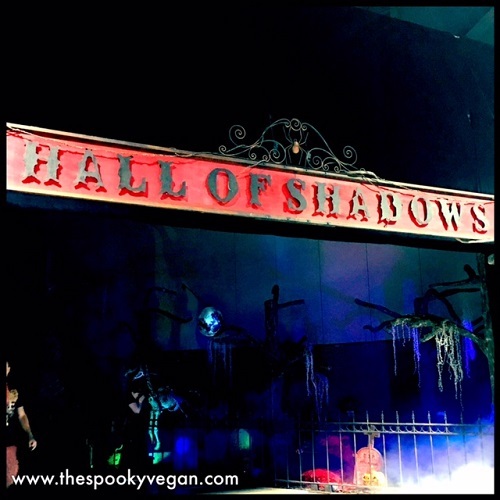 Get spooked in the Hall of Shadows - Hit the Hall of Shadows early as it tends to get more crowded as the day goes on. It is even bigger this year, so make sure you set aside some time to do all the haunts. 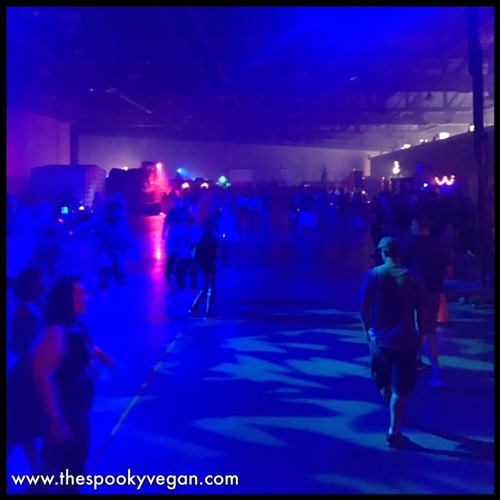 It is one of the best parts of Midsummer Scream, so don't miss it! If you can't hit it early in the day, try hitting it at the end of the day or when a major panel is taking place so it will be less crowded. 6.) Pack snacks - You'll be running around all day and may not have time for a meal, so pack some snacks and reusable water bottle. There is a bag check before entry, but it's worth the risk to try and bring some extra snacks and water into the event. 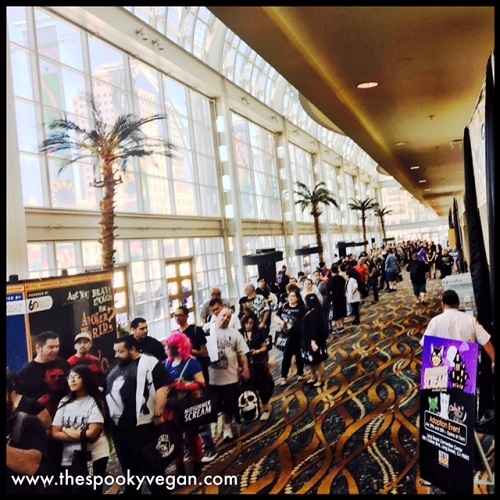 If you are vegan, there are limited options inside and around the convention, so definitely pack an energy bar or two! If you need a break, there are several delicious restaurants in the area (Seabirds is nearby!). The surrounding restaurants and food trucks are usually pretty packed, so that's just one more reason to pack your own snacks! 7.) Plan downtime - This goes hand-in-hand with number one above - when you plan out your day(s), make sure to include some downtime so you have time to grab a bite to eat, shop a little, or just find a corner to sit and rest a bit. To rest your feet, I suggest poppping into the Screaming Room to watch some short films or snuggling some kitties that are up for adoption in the Black Cat Lounge. Leave some flexibility in your schedule for other events that may pop up, friends you run into, or other experiences you may want to do. 8.) Spring for Gold Bat Tickets - If at all possible, spend the extra money and get the VIP Gold Bat tickets, which will allow you into the event an hour early as well as front of line privileges to the panels, presentations, and haunts in the Hall of Shadows! I assure you, you will be glad you spent the extra money for the VIP treatment. If you can't quite bring yourself to spend the money on the VIP tickets, at the very least make sure you buy tickets before the event - do not wait to purchase them the day of! You can purchase tickets HERE! 9.) Wear comfortable clothing and shoes - You are going to be walking around all day, so make sure you are wearing comfortable shoes and clothing! Also, it will be hot and the convention center itself can get a bit stuffy with so many people in attendance, so make sure you dress for hot weather as well. If you plan on heading outside the convention center to grab a bite to eat or enjoy the nearby views of the Long Beach harbor and Queen Mary, don't forget to wear sunscreen! for a sneak peek of their ghost tours! 10.) Go sightseeing - If you have extra time or are looking for something to do after the convention, go check out Long Beach! 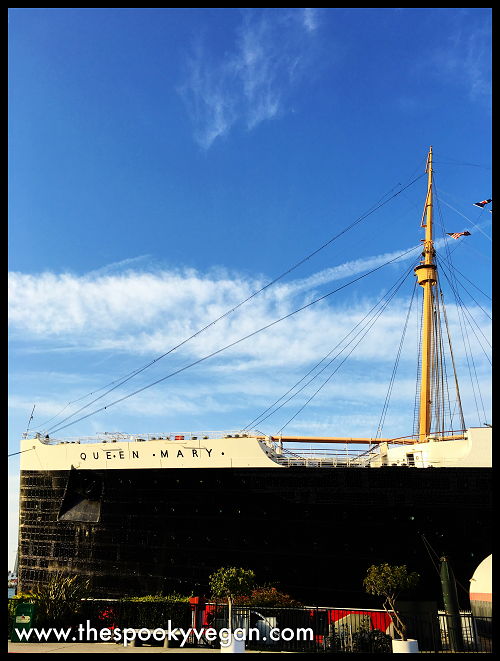 The Queen Mary is just across the harbor and a quick ferry ride will get you there. 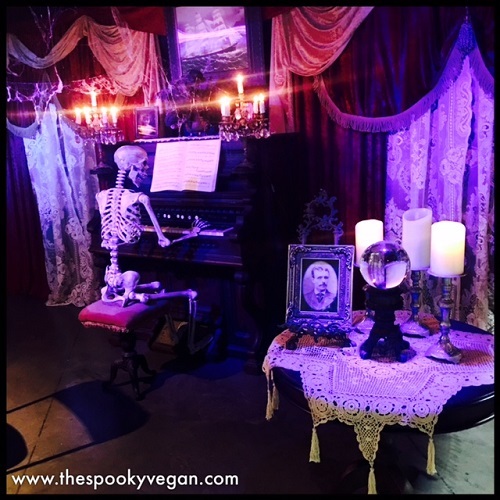 They offer ghost tours and regular tours, and is definitely worth checking out if you have some extra time or need a break from the convention. Also, don't forget about the after party hosted by Midsummer Scream! 11.) 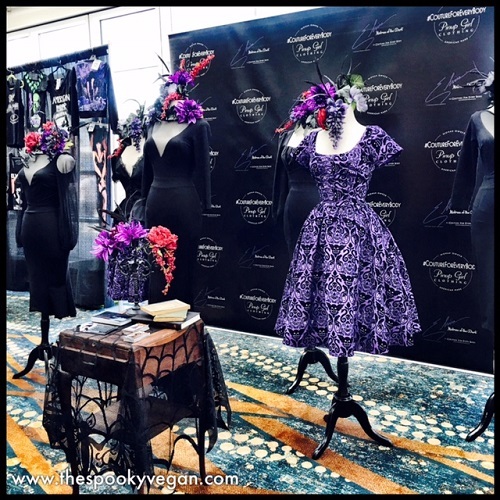 Keep your eyes out for exclusives - Midsummer Scream always has exclusives for its attendees, ranging from convention shirts to swag bags to other vendors offering items you can only get at Midsummer Scream. Sometimes there is even a secret scavenger hunt or other games for attendees, but you need to keep your eyes and ears open for these since they are kept pretty hush-hush! 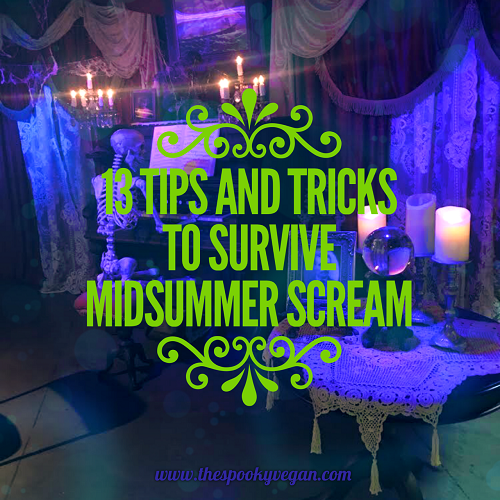 Midsummer Scream usually teases these exclusives on their Twitter, Instagram, and Facebook pages, so make sure you are following them so you don't miss any of the fearsome fun! 12.) Be patient and courteous - This should really go without saying, but please remember to always be gracious to the people working the event as well as to fellow attendees. 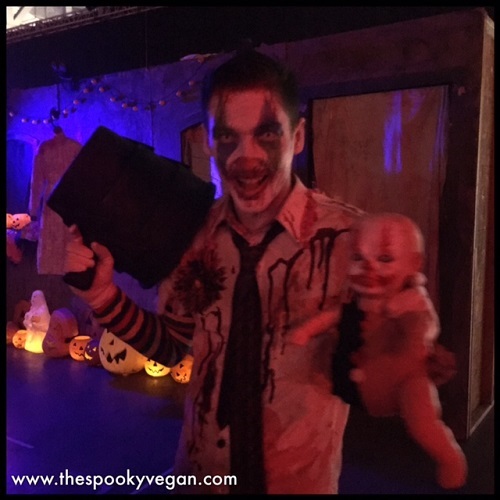 We are all a community of Halloween lovers, so let's be kind to one another! 13.) Enjoy yourself! - Any convention can be overwhelming, so try to slow down, take a breath, and enjoy yourself! 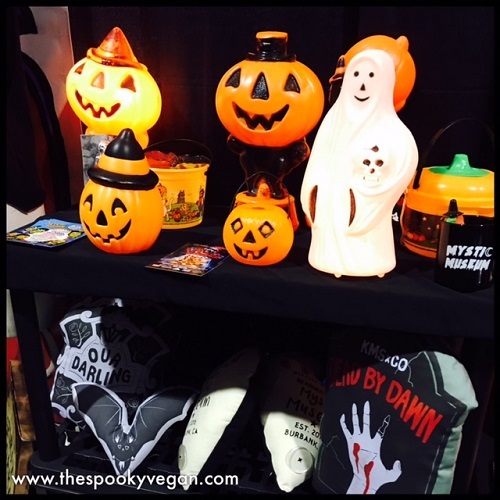 If it all starts to get to be too much, just remind yourself you are surrounded by fellow Halloween-lovers, all things spooky, and everyone there is celebrating their love of Halloween! 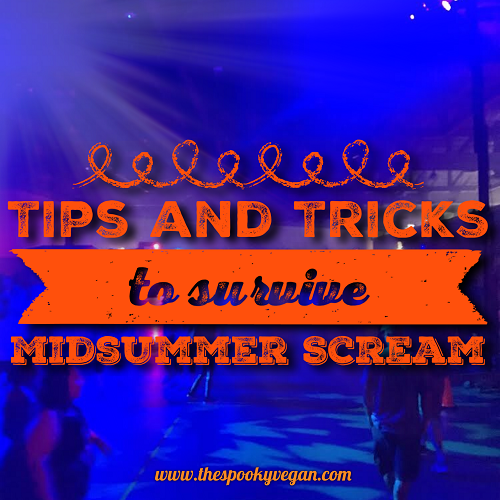 I hope those tips and tricks help make your Midsummer Scream experience even better! It is already an amazing experience, but with a little organization and planning you can make it all the more incredible. If you aren't able to make it to Midsummer Scream, don't worry - I have something special planned for you after the event. Make sure you are following me on Instagram for an announcement after Midsummer Scream and to see my live coverage of the event. I am sooooo looking forward to next weekend! If you are attending, let me know in the comments below and I hope to scare ya there (if you see me, please say hi!!)! Awesome! Hope you have a blast!! Are kids free with paid adult general admission tickets this year ?